Victorian poet Ashley Capes has been a favourite of mine for quite some time now, beginning when I got a hold of a copy of his chapbook of Haiku Orion Tips the Saucepan (2010) and his collection Pollen and the Storm (2008). His second collection, Stepping Over Seasons, does not disappoint. As a poet, Capes does not attempt to dazzle or confuse with an elaborate use of pretentious wording that eliminates everyone but scholars, rather presents a series of short poems that remind us of poetry’s true purpose and paint a picture with skilful simplicity. It is no surprise that Mark William Jackson has stated Capes’ work “will appeal to both lovers of poetry and readers who have been burned by poetry in the past” (http://overland.org.au/blogs/not-assigned/2010/05/review-%E2%80%93-stepping-over-seasons/). The collection focuses on depicting “the finer details of life” with an emphasis on “change within people and places as seasons change”, creating a broad and powerful body of work. or give comfort to loved ones. This poem also analyses the footprint that is left by the dead, how disposable a life seems to those not personally involved, and the realization that death is an inevitability. never shrinks, only the town around it. Capes’ output is truly remarkable, publishing high-calibre work consistently in almost every good lit journal in the country and I would go as far as to say this is his best release yet, and one of the best books of Australian poetry I’ve read in quite some time. Simply put, this is a wonderful collection of astounding work that was recognized with a Commended Award in the 2009 IP Picks Best Poetry Competition that joins Capes’ other poetic achievements for individual pieces, such as commendations in the 2008 MPU Poetry Competition, the 2009 Rosemary Dobson Prize and a prize in the 2008 Ipswich Poetry Feast Open Poetry Section. For me, at least, this is a book that demands to be read again and again. I look forward to more work from Ashley Capes, who stands up with the best as one of Australia’s finest contemporary poets. 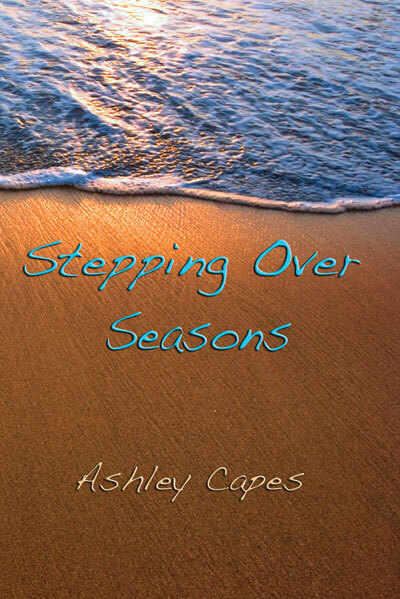 This entry was posted in Ashley Capes, Interactive Press, Issue 6, Robbie Coburn, Stepping Over Seasons, Uncategorized and tagged Australian poetry, IP Picks Best Poetry Competition, Ipswich Poetry Feast Open Poetry Prize, Mark William Jackson, MPU Poetry Competition, Orion Tips the Saucepan, Overland, Pollen and the Storm, Rosemary Dobson Prize by Mark Roberts. Bookmark the permalink.